Turnberry, a Luxury Collection Resort set on the rugged Ayrshire coastline of Scotland, is opening its doors again this festive season, offering special Christmas and Hogmanay packages for the ultimate end of year indulgence. With stunning views of the Ailsa Craig and snow-capped mountains of Arran, Turnberry promises a truly magical experience for the entire family. Thanks to Ayrshire’s localised micro-climate, discerning guests arriving at Turnberry often enjoy milder weather and will be able to delight in the great outdoors this Christmas, without the chill normally associated with the Scottish winter. From invigorating walks along the beach, to golf lessons and pitch & putt, families will be able to take part in Turnberry’s usual exciting range of outdoor activities, as well as a dedicated festive programme packed full of seasonal games, all of which add to the quintessential Christmas and Hogmanay family experience at the resort. Arriving on Christmas Eve, families can look forward to a special visit from Mrs. Claus, who will meet the children and share stories of Father Christmas and his reindeer. There will even be a screen showing a live Santa Tracker for little ones to track Santa as he makes his way around the world. On Christmas Day, children will wake to find personalised stockings hung in their rooms as a special gift from the resort. In the afternoon, guests will be encouraged to gather together to watch the Queen’s speech before continuing the celebrations with a champagne reception followed by a stunning family lunch served in Turnberry’s signature restaurant, 1906. 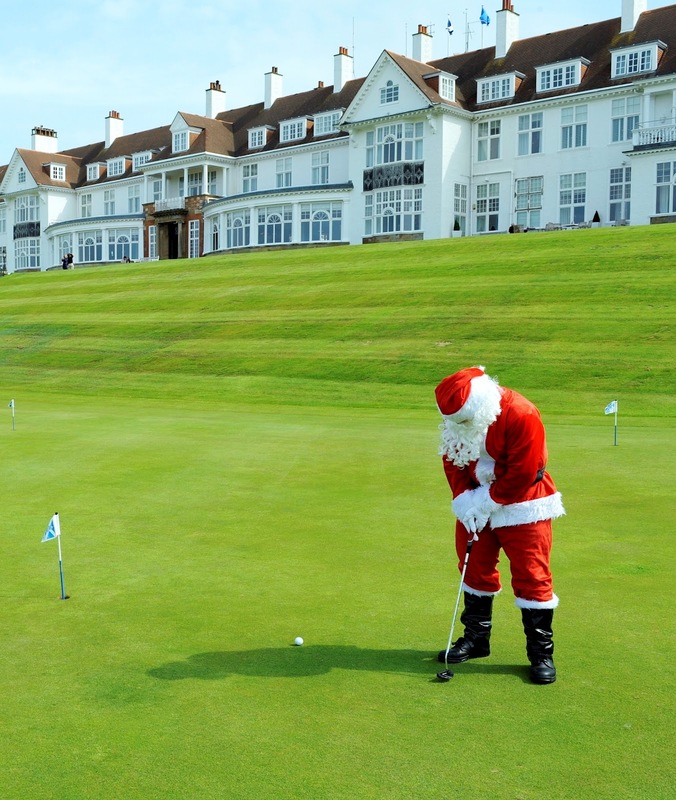 Boxing Day is traditionally a time for families, and this year Turnberry will be offering a vast array of leisure pursuits designed to appeal to both children and adults alike. From off-roading, to horse riding, to ESPA spa treatments, the resort provides guests with top-class entertainment. The day will end with a drinks reception followed by a gala dinner with at-table entertainment provided by a magician. The Hogmanay Experience at Turnberry allows the entire family to ring in the New Year together in an unprecedented style, starting with a drinks reception held in the Grand Tea Lounge. Whilst the adults indulge in a wonderful gala dinner, little ones aged three and over can enjoy a complimentary children’s programme including a Hogmanay party with festive food, drink, games and entertainment, followed by a supervised kids-only sleepover. Turnberry’s two-night Christmas Inclusive Experience starts from £1,350 per room, arriving on 24 December 2012. The Boxing Day Experience starts from £445 per room for a one-night stay arriving 26 December 2012, based on two people sharing classic accommodation. The Hogmanay Experience at Turnberry starts from £595 per room for a one-night stay arriving 31 December 2012, based on two people sharing classic accommodation. All of the resort’s Christmas and Hogmanay packages include a full programme of food and entertainment. Children can stay in their parent's room for £90 per child; alternatively, they can stay in their own room for £150 per child.